Counterintuitive as the need for that statement about kosher certification might sound, it was just one of the points about the Conservative movement’s planned ethical seal that the group responsible for the certification wanted to clarify at this week’s gathering of Conservative rabbis in New York. The Hekhsher Tzedek Commission announced at this week’s Rabbinical Assembly convention that it had hired a social auditing firm to compile standards for what the seal will represent. The Magen Tzedek certification has been in development for three years following multiple scandals at the nation’s largest kosher meatpacking plant, Agriprocessors of Postville, Iowa. Beta testing with two companies will be finished by the end of 2010. “Over the course of the next year we will be in the marketplace,” promised Rabbi Morris Allen, the Hekhsher Tzedek project director and spiritual leader of Cong. Beth Jacob in Minnesota. Joe Regenstein, an adviser to the Hekhsher Tzedek Commission and professor of food science at Cornell University, said the new certification will cover five areas: wages and benefits; health and safety of workers; animal welfare; environment and sustainability; and a broad category of corporate responsibilities, such as nutritional labeling and good practices. At the convention panel at which the certification was discussed – “Moving Magen Tzedek Into the Marketplace: How the Conservative Movement is Seating Itself at the Kosher Table,” the co-chairman of the Hekhsher Tzedek Commission, Rabbi Michael Siegel of Anshe Emet Synagogue in Chicago, urged the dozens of rabbis in the room to make the commission’s projects known to their communities. The commission wants each synagogue to appoint one socially aware and active member to work directly with the commission for a year. Siegel also urged the audience to make sure that their synagogues and Jewish organizations are in compliance with the ethical standards espoused by the seal, such as using fair labor practices for workers and ensuring that outside contractors, like catering companies, adhere to the standards. The commission hired Social Accountability Accreditation Services (SAAS) for help in coming up with the standards a food company must meet in order to be approved for the Magen Tzedek, or star of justice. 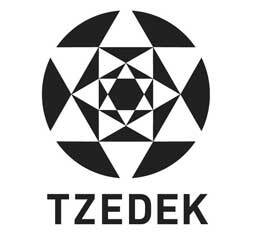 The commission posted draft standards at the Magen Tzedek Website for three months, inviting public comment, and the standards are being finalized. At first the label will be targeted toward U.S. kosher food product companies, Regenstein said, estimating the number at about 10,000. It will include only products that already have been certified as kosher, including non-food items like detergents and aluminum foil, as well as products that do not require kosher certification, such as fruit and vegetables. Even though some companies might adhere to the social justice practices enumerated, if they are not kosher, they cannot get the seal. Regenstein prefers to call the accreditation the Magen Tzedek rather than use the term hechsher. Regenstein added that the term hechsher made the Orthodox community nervous. For now the seal will not apply to restaurants. Other organizations, like Uri L’Tzedek, certify kosher restaurants as ethical. Eventually the Hekhsher Tzedek Commission hopes to certify catering companies. After the SAAS criteria are finalized, the commission will conduct an economic feasibility study to determine the cost of accreditation, Regenstein said. He noted that it might prove economically desirable for kosher companies to acquire the seal because it will widen the market for their foods to those who care about ethics even if they don’t keep kosher. The seal may even help people become kashrut-observant, he said.